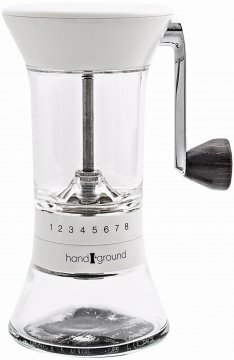 The Handground Precision coffee grinder stands out from the crowd due to its construction and the way the whole project was funded - by thousands of Kickstarter supporters. 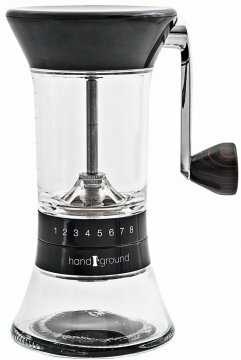 What draws your attention first is the handle mounted on the side of the grinder. This allows for a more natural motion and together with a rubber pad on the bottom of the base, gives a good grip and makes grinding quick. The hopper may contain up to 100 g of coffee beans. Also, the hopper has a lid, so the beans won't jump out of it while grinding. The base is made of glass, which prevents static and sticky grounds. 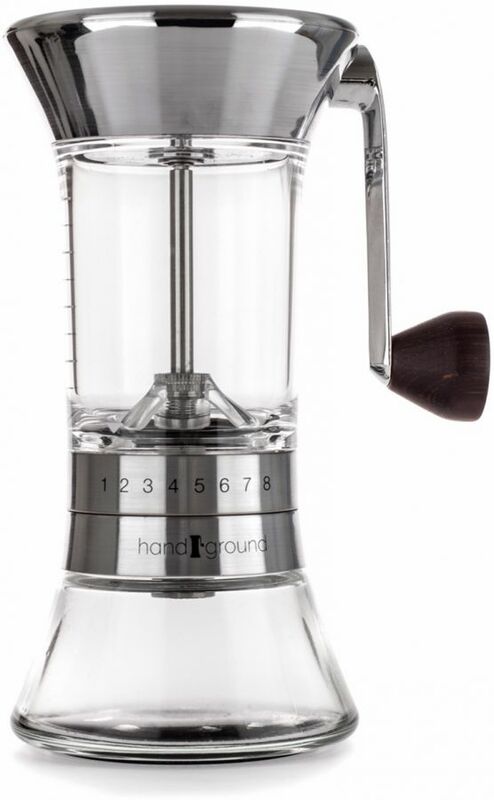 The heart of the grinder is a 40 mm ceramic burr. The coarseness is set in a convenient way - using the ring under the hopper. You won't have to unscrew any elements to do that! The hopper may contain up to 100 g of coffee beans.